Benchmark has supplied and fabricated a wide variety of piping products in support of the Oil & Gas Industry, LNG Plant Construction, Marine Services and Pulp / Paper Plants. All of our custom fabricated steel flanges come in a wide variety of carbon and stainless steel including 304 and 316 SS fabricated flanges. Our flanges are custom fabricated in Vancouver, BC, and are made with a variety of metals. Piping, Flanges, Valves, Fittings, Stud Bolts, Gaskets, Isolation Kits and Pipe Spools AKA Flanged Spools. 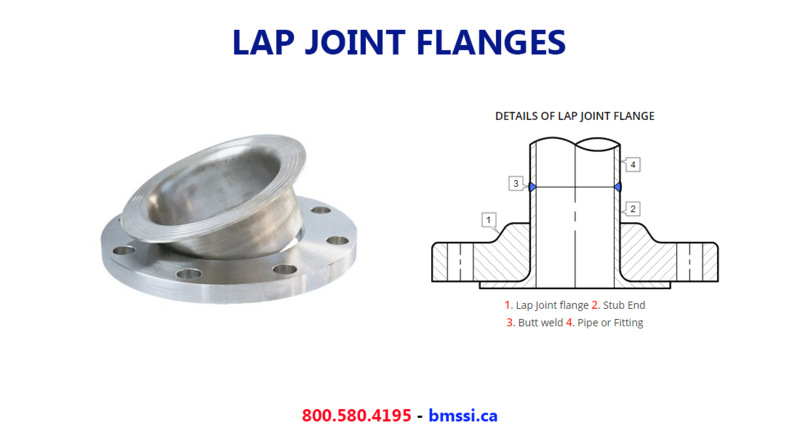 Lap Joint Flanges have all the same common dimensions as any other flange named on this page however it does not have a raised face, they used in conjunction with a “Lap Joint Stub End”.